Hi Sarah! Can you tell us a little about your latest book? 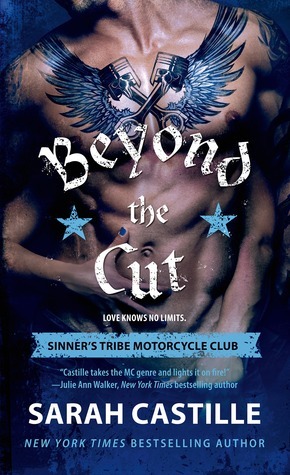 Beyond the Cut is the second standalone book in the Sinner’s Tribe Motorcycle Club series. 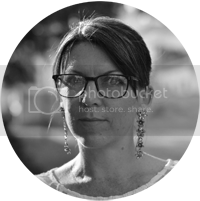 Dawn is desperate to get her daughters back from an abusive MC ex and start a new life. Cade is a member of the Sinner’s Tribe MC. He is a manwhore but after two nights with Dawn he wants more. He wants to protect Dawn and and help her get her girls back, but it puts him in conflict with his MC. Dawn doesn’t want to be drawn back into the biker life, but she can’t resist Cade. My hubs owns several motorcycles and we went on a trip from London, England to Oslo, Norway. Along the way, we met lots of bikers who shared their stories and they inspired me to write this book. Well, the women in Cade’s MC refer to him as Thor, so it would have to be Chris Hemsworth and maybe Scarlett Johansson for Dawn because she’s blonde and curvy. Beyond the Cut is the second standalone book in the Sinner’s Tribe Motorcycle Club series. Book one is Rough Justice, and book three which will be released in October is Sinner’s Steel. 5. Beautiful Disaster by Jamie McGuire – Travis. Sigh. I once was attacked by an owl. It was night and I was running in a residential area. It swooped down and clawed my head. I hit it away but it kept coming after me until finally a car chased it away. I also write a series of fighter books, Redemption, and I have two more books to write that will be coming out next year: Fighting Attraction and Strong Hold. The series started with Against the Ropes which probably has the yummiest man candy cover ever.